영어자료실 영어학습에 유용한 자료들이 모여있는 영어보물창고입니다. 저작권에 위배되는 자료의 등록은 자제해주세요. 여행 시 호텔에서 꼭 알아야 할 표현 정리! You've got used room service and pay channel. 10 dollar is equal to about twelve thousand won. 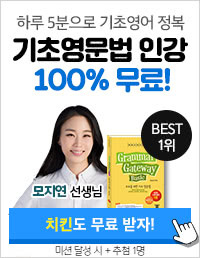 You need to pay ten thousand won in total. Here is the change, 000 won. 택배서비스는 벨데스크에서 보낼 수 있습니다. 벨데스크에 문의해주세요. Door-to-door delivery service is available at the front de나. Please inquire at the front de나. 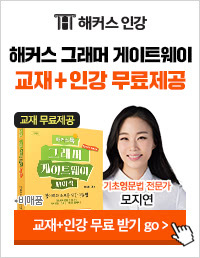 당신에게 도착한 팩스가 있습니다. 지금 바로 드리겠습니다. There is a fax message for you. I'll get it for you right away. 당신이 이용하신 레스토랑 요금은 총 30,000원입니다. 이 식권은 15,000원의 가치의 식권이므로, 차액 15,000원을 더 지불하시면 됩니다. Your check amounts to thirty thousand won. This voucher is worth fifteen thousand won, so you only have to pay the balance, fifteen thousand won. Do you want to pay in dollar and euro? Do you want to move to smoking room? 이곳에서 패스워드를 드리면 컴퓨터 메인화면에 패스워드를 입력하고 사용하시면 됩니다. You can get a passworde here, and enter it at the main screen to use internet. 1시간 3000원이고, 추가 30분당 1500원의 추가요금이 발생합니다. The rate is three thousand won for the first one hour and on thousand five hundred won will be added for every succeeding thirty minutes. 인터넷 이용이 끝나시면 프론트로 오셔서 말씀해주세요. When you are done (with internet), come back here and tell us (about it). 비즈니스센터는 오전 8시부터 오후 9시까지입니다. Business center opens from eight AM to nine PM. I'll send the ashtray to your room right away. Can you sign here and here? Please? 체크인은 2시부터이므로 2시까지 기다리셔야 합니다. Check-in time is two PM. Sorry, you need to wait until two PM. 조식은 2층 카페, 아침 7시부터 10시까지입니다. Breakfast is served at the cafe on the second floor from seven AM to ten AM. 저희 호텔에서는 여러 가지 렌탈서비스를 제공하고 있습니다. 어떤 것을 원하십니까? Various rental service is available in our hotel, would you like any service?